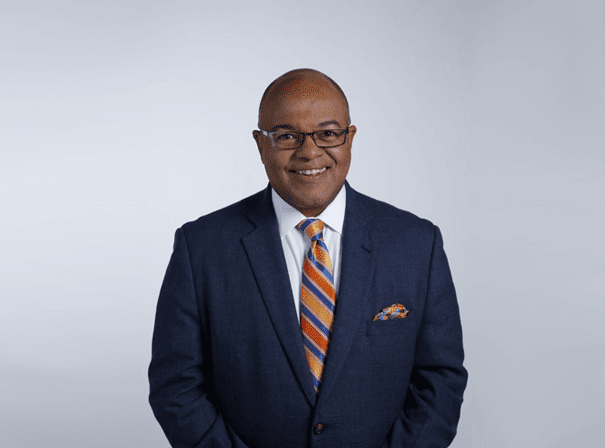 Beginning his four-decade career while studying at Syracuse University, Mike Tirico has cemented himself as a stalwart of both American and international sportscasting and commentary. Despite already achieving legendary status, particularly for his nine-year tenure announcing on ESPN’s Monday Night Football, Tirico continues to enjoy more prestigious opportunities, stepping into the shoes of all-time greats like Bob Costas and Dan Patrick to cover the 2017 NFL season, the FIFA World Cup, and the 2018 Winter Olympics while hosting Football Night In America from 2018 onward, all for NBC. casting during the early ’90s, working with WTVH-TV while studying Broadcast Journalism at Syracuse. It was here that he began honing the skills which have made him such a sought-after presence in modern sportscasting, including his ability to apply himself far beyond Football and across the full range of broadcast sports. Quickly scouted by ESPN, Tirico went on to cover tennis, golf, basketball, soccer and, of course, Football both on TV and radio for the broadcasting giant, a position he held for no less than 25 years. Since leaving ESPN, Tirico has continued to venture beyond his proven comfort zone, calling his first NHL game and joining a true pioneer of female race driving, Danica Patrick, in covering the Indianapolis 500. Now considered one of sports journalism’s most versatile and accomplished broadcasters, Tirico continues to inspire the next generation of sportscasters to take risks and stay open-minded to opportunities outside their specialism, an approach that has been fundamental to his long and prestigious career.